New England Board members recently traveled to Jewish National Fund’s national conference, which hosted sessions on Blueprint Negev, Israel’s water crisis, Beer’sheva River Park, Aleh Negev Rehabilitative Community and the Arava Institute. Speakers included Martin Luther King III, Jerusalem Mayor Nir Barkat, Israel branding expert Ido Aharoni and Israel Ministers Gil Erdan and Uzi Landau. Judith Sydney served as National Recruiter. 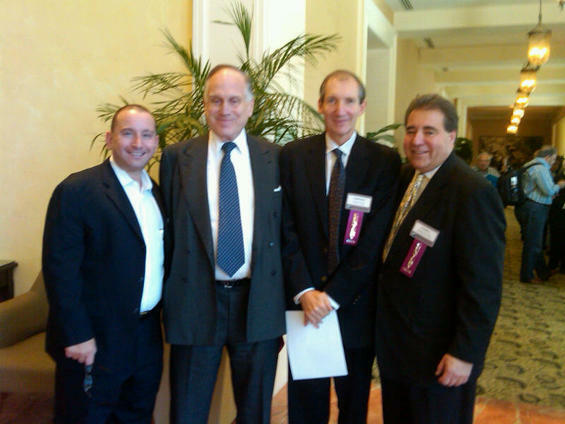 From left, Campaign Vice President Todd Patkin, Chairman of the Board Ronald Lauder, New England President Lawrence Cohen and CEO Russell Robinson.